We look forwards to hearing what you think of these! This entry was posted on Monday, July 13th, 2009 at 2:28 am	and is filed under Uncategorized. You can follow any responses to this entry through the RSS 2.0 feed. You can leave a response, or trackback from your own site. Cute little box! Thanks guys, and am I right assuming there’s no need to touch the black keys? @Ken: Just decrease the value of ’sust.’ knob on the right of the GUI. As a general rule, just about any synth (virtual or not) has some sort of ADSR envelope section (attack–sustain — decay — release). To make short notes the player should decrease sustain and release, and vice versa. Quite weird there’s no ‘attack’ knob in thi baby though. it reminds me of Steve Reich, i find it powerful and beautiful. Also my favorite scale/mode for healing and mind-melting is the Sarasawati, AKA Lydian flat7 (major scale with sharp 4 [tritone] and flat 7 [also the notes of the Scriabin 'mystic chord']). It’s a great synth to experiment with. But i was wondering are there any presets? Awesome plugin. What would make it a even more fantastic tool is that it would work as a midi input converter, so that you can harmonize any instrument in Logic for example. another idea is adjustable delays for every note so that you get a strumming/harp like effect. if it had those 2 features i wouldn’t mind paying for it at all haha! thanks for this nice plugin! oh one question, you posted 3 soundclips, the first 2 had a very different, synth/brass like sound. i only get this warm sound with no high frequencies. is the sound in the 3rd clip the final sound or is there a way to get the sound similar in the first 2 clips? i love that sound! Awesome plugin! Sounds great spread stereo. My only thought – PLEASE allow this to feed out midi notation! I’d love to use this in chordination with other vsts…. it’d be much more pun. Great job, few bugs and it crashes, but gets what you need. 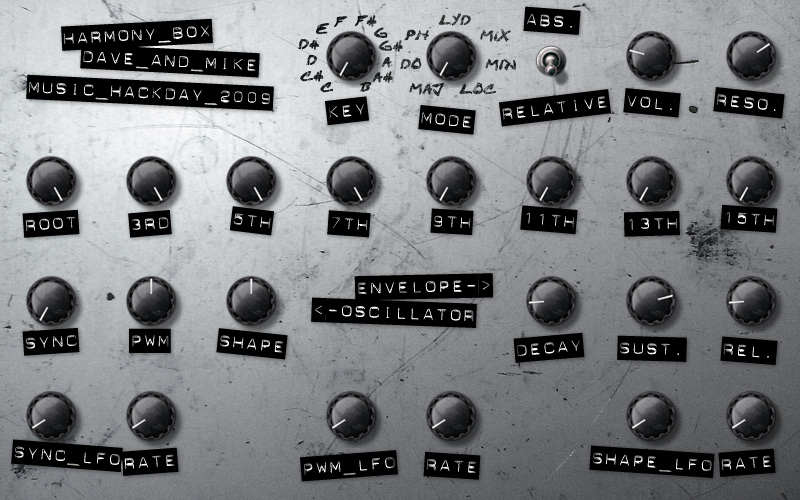 Hey guys i love this and think its a really clever little vst . jammed on it fine in FLstudio.. however my cubase is picking it up as an effect not an instrument.. Help?! ?